We know that it has been a long time since the last news update. We want to let you know that our team still exists and apologize the lack of news in the past. We, the IronOak Team, are very busy with our first commercial first person shooter. We're still planning a few fixes, small patches & updates for Brainbread, but at the moment we aren't able to give you specific release dates. Thank you for your patience and have fun playing the latest version of Brainbread! 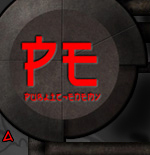 The german TV channel GIGA.TV will show our old Mod "PUBLIC ENEMY - THE DARK FUTURE" in their GIGA GAMES section at 22.00pm! We'd like to thank Giga for still playing our mod! Due to the very high traffic our servers had to go offline. We moved to another location until we can use the old server again. Until then it may happen that the page is down from time to time. We apologize for this. Just wanted to let Public-Enemy fans know that there is a North American dedicated server set up by [cTs] at 70.85.18.215:27015 also available through steam. Join up and support PE or at least give it a try if your not too busy hunting zombies in Brainbread! BrainBread version 1.0 is now officially released! Here you'll find a list of the available mirrors. Have fun playing the one mod which reached nearly every Half-Life limit and even surpased some of them! You'll see things that no one has ever done on this engine, we hope you enjoy it! Always remember: A zombie may look like your friend, but it isn't! If a mirror is not listed in the files area, please fill in this form. The betatests ran without (lag) problems with up to 10 players. 12 should also be fine. 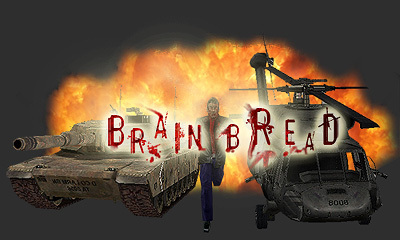 BrainBread has been completed today and is being uploaded to our servers. We are currently distributing the files to our main mirrors. This process needs some time. Expect to be in bad trouble and surrounded by hordes of undead tomorrow (11/28/2004) @22:00 GMT+0100. Enjoy the last few hours of safety! BrainBread has reached a playable state so we need some betatesters who want to help us fixing the bugs and making BrainBread even more fun! You can apply for a betatesting account using this form. There you'll also be informed wheter or not you were accepted as a betatester. In order to sign up you need to have an account in our forums. You can create one here. We don't need many betatesters so don't be disappointed if we don't accept you. We don't expect the betatest to last longer than one or two weeks but you never know. Stay tuned for further information! We are proud to announce another Half-Life modification made by IronOak studios. The setting is completely different from our previous productions and if you are below the age of... well, 16 should do it, then better leave this site immediately. If youre not hungry right now you can also take a look at the gallery, which could wake up your BRAINhunger! We had a wrong entry in the mirrors section. If you've downloaded the full version from the eXtreme-players mirror please make sure that its size is about 87MB and not 31MB like the update. Redownload the file if needed, the mirrors are correct now.